Basswood is a soft wood which many people first carve with and probably the best wood for carving. 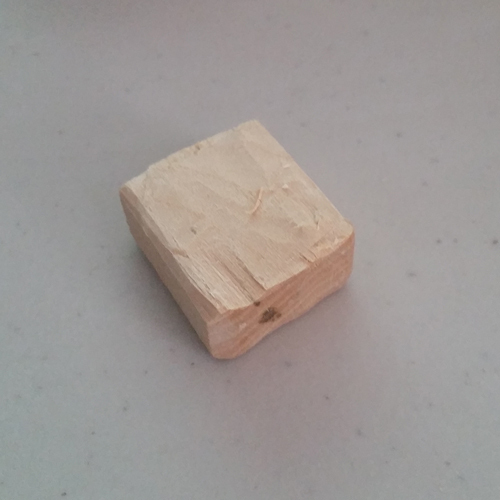 In fact, even this tutorial used this basswood to make the necklace. 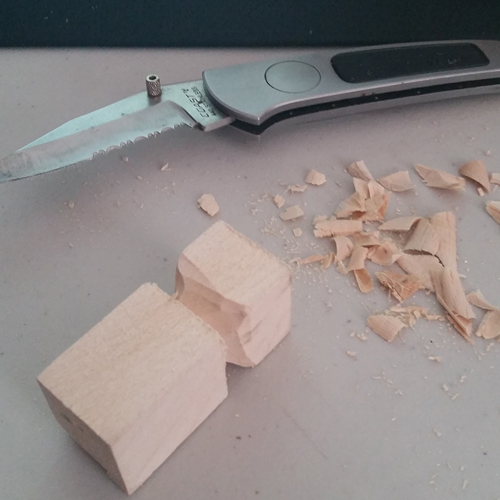 It’s easy to make a variety of cuts with while not putting a lot of strain of the knife itself. 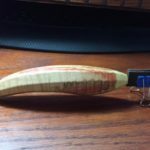 As far as the knife goes, you can use a basic pocket knife and you should be able to complete the carves to finish this project unless it is not sharp. 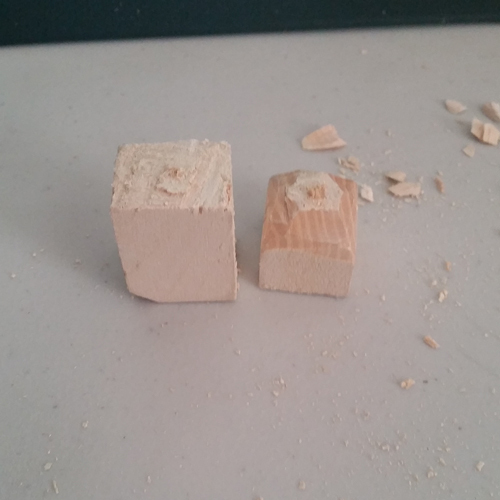 I had a lot of trouble carving any kind of wood with my dull tools. 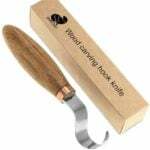 Top rated steel carbon pocket knife by Flexcut is our best selling knife. GET YOURS NOW! 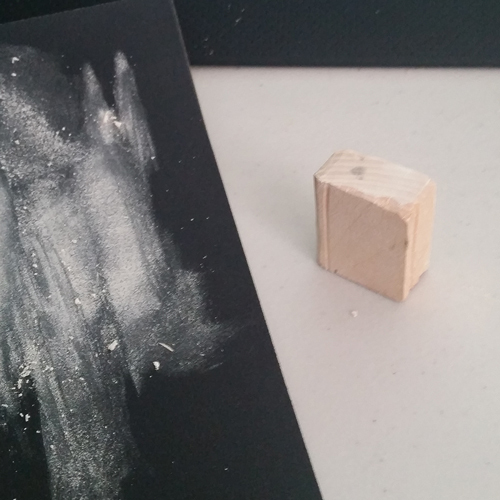 The first step was to rough out the shape of the book. 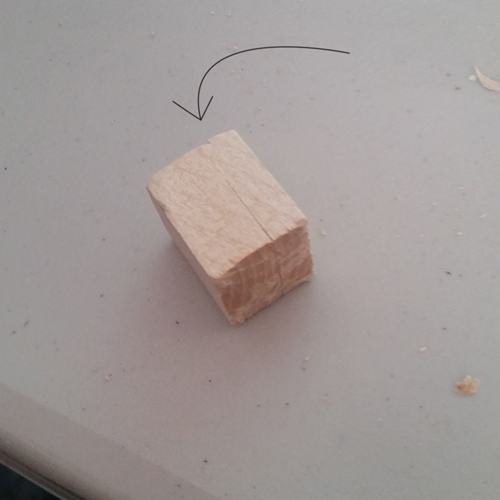 Start by cutting out a small portion of the wood block. 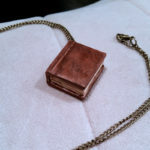 Cut about 1 – 2 inches off so the book is proportionate with the necklace chain you have. 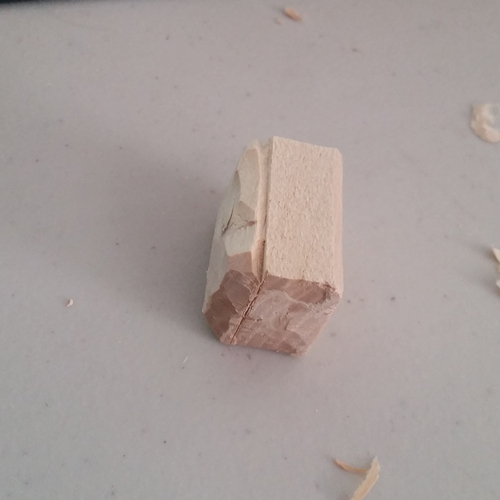 Knife shown that was used and here is the progress of cutting through the best wood for carving. 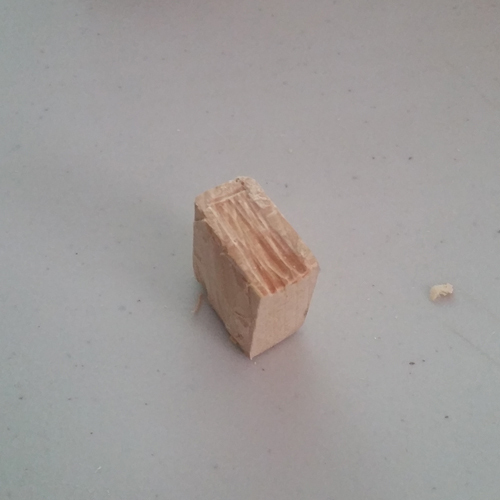 Once the excess wood is cut off, we can finally make cuts that start to resemble a book! 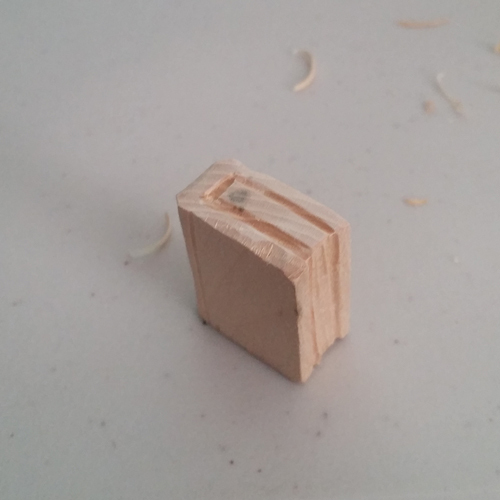 You can see the line made in the wood where it’s ideal to finish the cut for the book. Be sure to reconsider how big you make this because you will have to account for sanding down which will come later. 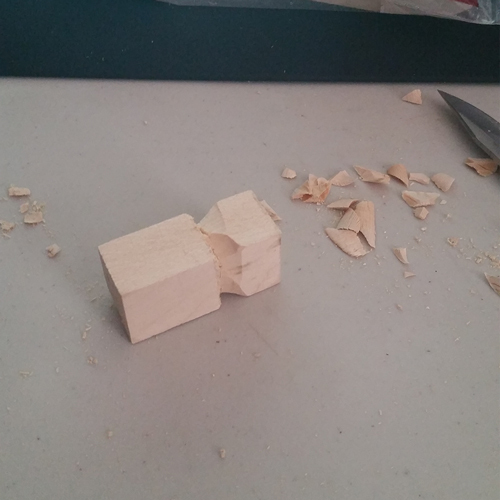 Make thumb push cuts by holding the wood in one hand and the knife in the other while using your thumb on the hand the wood is being held by to support the back of the knife for control. 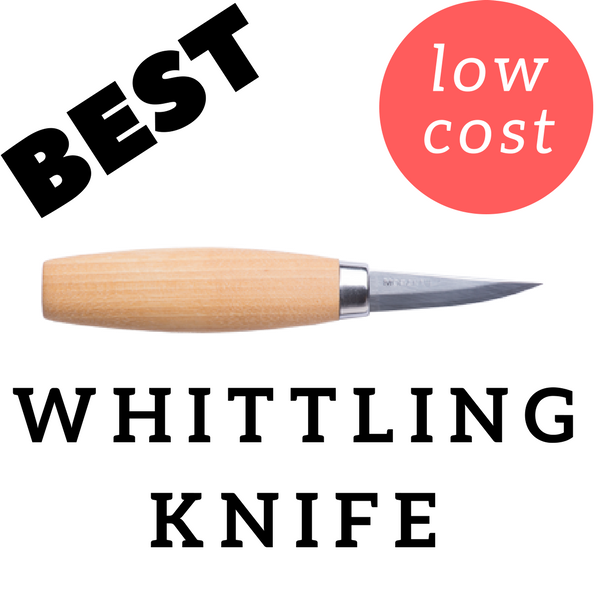 You can see an example of this by checking out our Whittling Guide. 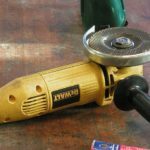 Sharp tools can be dangerous without proper control of them, but dull tools are much worse. 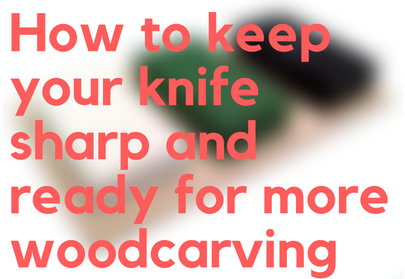 Make sure your equipment is nice and sharp before carving. Finally starting to resemble a book! This step is where the palm tool comes in handy, but not necessary to use. Make the paper look a little ragged, like that of an old worn out paper in a journal. Grab the palm tool and push carve toward the pages and away from the binding to give it lines that resemble a page. 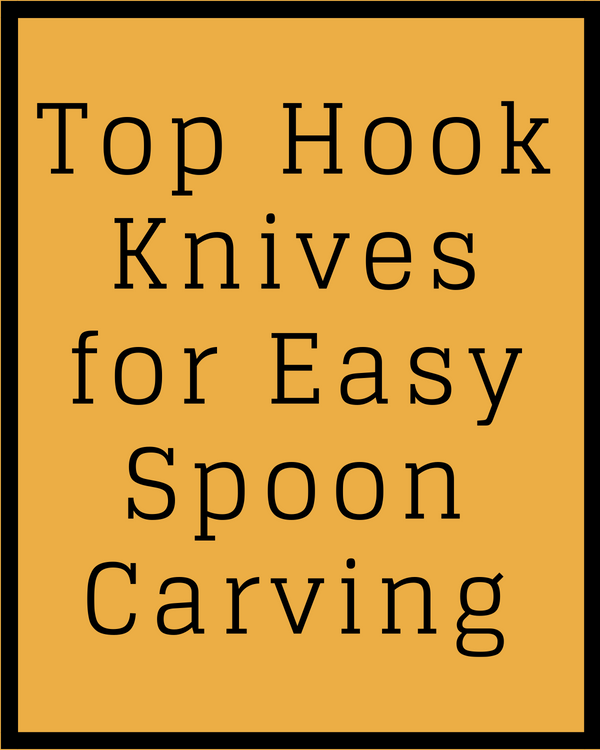 If you are using a carving knife or pocket knife, just carve jagged lines so that they make a similar shape. Sand it down with the fine grit sand paper to give it a defined shape. Continue with the basic shaping of the paper and rough out the lines accordingly. 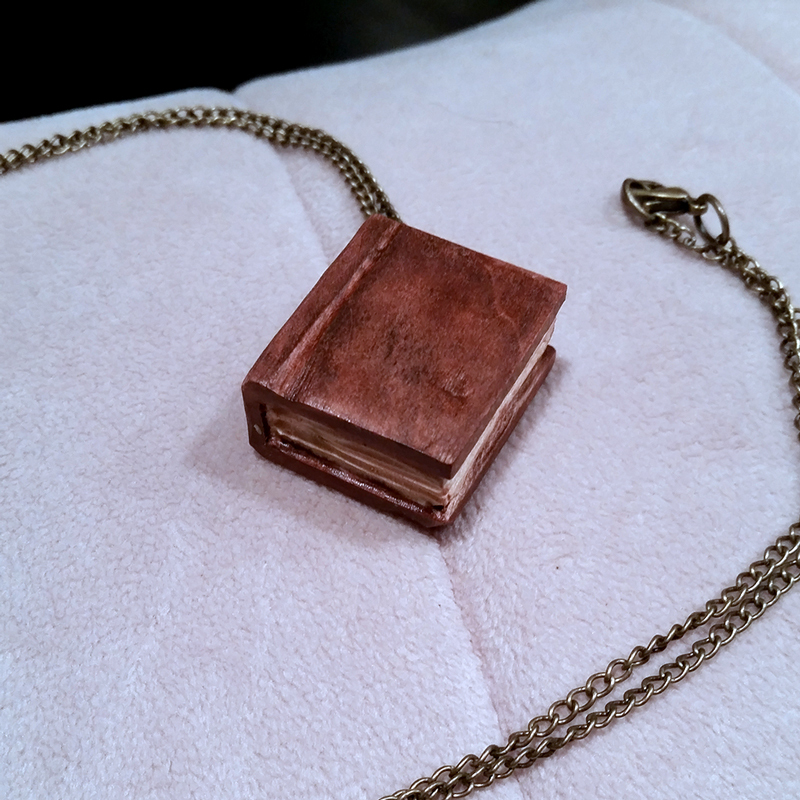 Lay the carved book down on the old t-shirt to handle the book while staining it and adding the polycrylic finish. 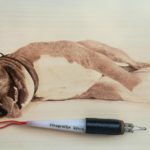 It helps to use the acrylic brush to apply the finish. This will give you that red stain that the covers have to make it look more like an old book. 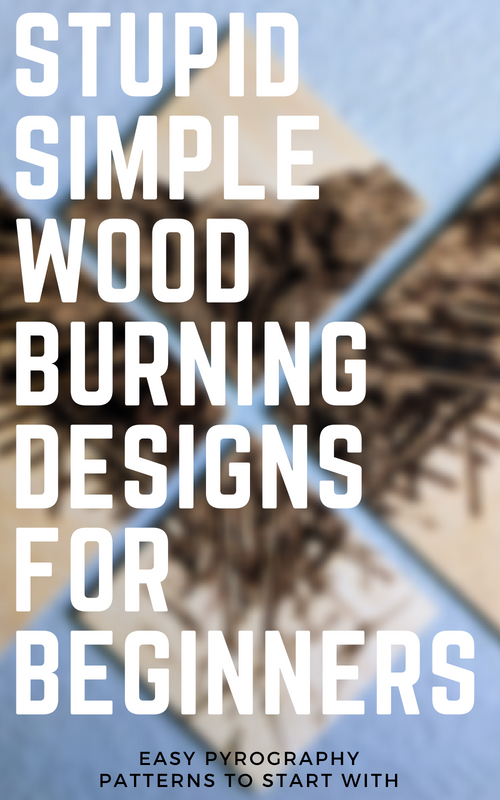 Then there you go, simple and easy enough for any beginner to complete without a sweat.